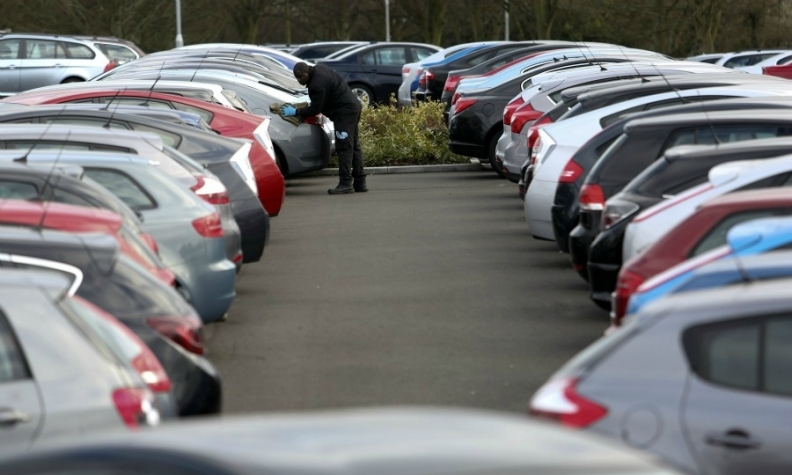 PARIS (Reuters) -- Western European car sales rose 6 percent in September, helped by an additional selling day and strong demand across all the region's major car markets, according to industry data compiled by LMC Automotive. Registrations last month came in at 1.2 million cars, the consulting firm said in a statement, lifting the selling rate to 12.21 million cars per year from 11.91 million in August on a seasonally adjusted basis. Europe's auto market bottomed out in 2013, the end of a six-year slump, but the fragile recovery is threatened by weak confidence and geopolitical uncertainties in Russia and elsewhere. LMC said it had trimmed its full-year growth forecast for Western Europe to 4.6 percent from 4.8 percent. Germany, France and the UK have nonetheless posted positive sales gains for September, helped by calendar effects that yielded one more September sales day than a year earlier. German sales rose 5 percent last month, while registrations in France were up 6 percent. The UK market today reported its 31st consecutive month of growth in September as registrations rose 6 percent. In Italy too sales came in 3 percent higher, while a vigorous rebound continued in Spain, up 26 percent. "Ongoing improvements in these two markets [Italy and Spain] are key for sustained growth at a regional level in the medium term," LMC analyst Jonathon Poskitt said. The annualized selling rate in Spain, one of the markets worst hit in the 2008-2013 slump, edged back up to 863,715 cars last month from 859,155 in August, according to LMC.